The records just keep breaking in the comics industry. October 2014's shattered the record for retailer orders of new comic books and graphic novels in a single month in the Diamond Exclusive Era, which began in 1997; a record which was only three months old! Retailers ordered an estimated $56.09 million in comics, graphic novels, and magazines from Diamond Comic Distributors, according to Comichron's analysis of data released by the company today. This makes the third straight year in which October has been the strongest month for comics. Overall, the Direct Market's orders for the year now total an estimated $451.19 million, up $18 million, or 4.15%, over 2013 through October. This now guarantees that overall comics shop sales will increase for the third year in a row: retailers only need to order $66 million in merchandise in November and December to beat the 2013 total. Comichron projects the comic shop market will complete the year with orders totaling around $535-540 million; the smaller figure is reached if November and December are completely flat, the larger if sales are up 5%. Either one would bring the year-to-year increase to around 4%, the smallest year-to-year gain of the three up years. "Gravy Day" — the point after which any new sales are an increase over last year's sum — should fall in the second week of December this year. Back to October, that $56.09 million figure remains impressive; it is more than double the $27.9 million sold exactly 10 years earlier in October 2004. That was a four-week month back then — and there is far more material available for ordering today. But it should be apparent that inflation alone does not account for the increase in sales. The market has grown larger. 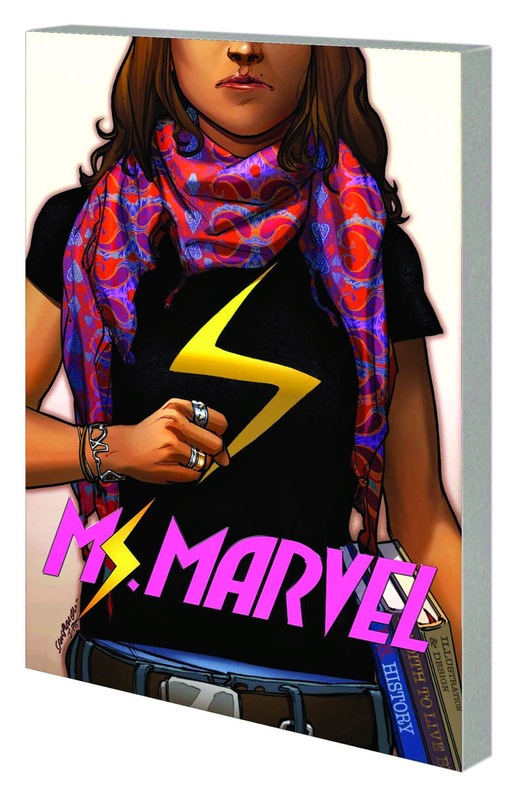 Is it because of demographic changes (as the graphic-novel chart-topping title this month, Ms. Marvel, might suggest), because existing customers are simply able to buy more, because digital and movies have expanded readership, or simply because of a change in the number of accounts? I suspect there's something of all of these in the answer (along with the much larger number of graphic novels available now, and the sales charts alone don't tell us for sure. Comics shipped and ordered do not equal sales to consumers, of course. But a comic shop owner told me October 18 was the best sales day in his business's history not connected with any kind of special event; there's a lot more volume, but evidently also customers to buy the material. If that's being seen elsewhere, then we have what might be a sustainable increase. Looking back to 2010, the best month of the year has always been whatever month of September, October, or November has five weeks; if that continues, look for September 2015 would be the big one next year. For the second time this year, the online retailer Loot Crate made figuring out the comics shop sales of the market-topping comic book more complicated. 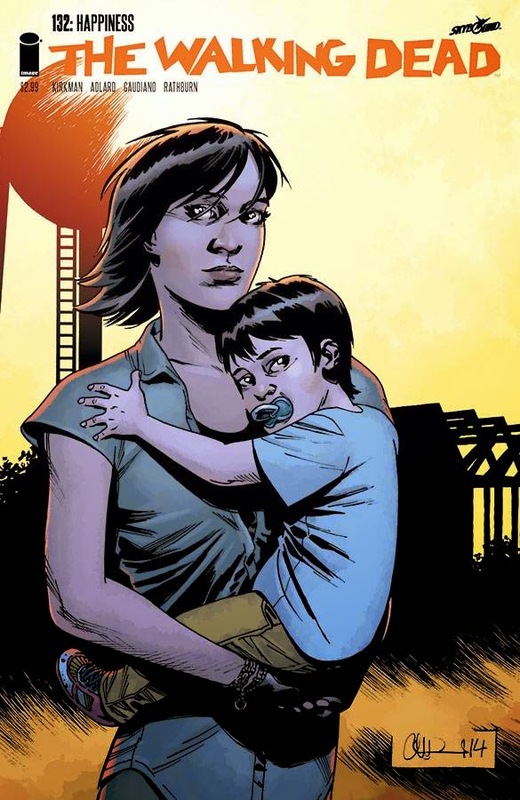 Walking Dead #132 from Image topped the bestseller list, and releasing as it did at the start of the TV season, it may well have done so entirely on the basis of its comics-shop sales. But Loot Crate ordered thousands of copies of a variant edition through Diamond, making it the second comic book (after July's Rocket Raccoon #1) to see a giant boost. Dark Horse's Halo: Escalation #1 was part of the September Loot Crate offering, but only in the form of a digital download card. The physical comic book was not included. The comics sales records page has been updated to reflect the October sales. Readers may wonder why I cut off records at the mid-1990s; it is because of the gap in data caused by the Exclusivity Wars between the distributors; read more about it here and here. I have materials enough to piece sales from that era and before together, but it is a large project and one that is still ongoing. Look for the final estimates to appear on Monday. John Jackson Miller has tracked the comics industry for more than 20 years, including a decade editing the industry's retail trade magazine; he is the author of several guides to comics, as well as more than a hundred comic books for various franchises. He is the author of several bestselling novels including Star Wars: Kenobi and the recently released Star Wars: A New Dawn. Visit his fiction site at http://www.farawaypress.com. And be sure to follow Comichron on Twitter and Facebook!